Searching about the shop for a phone that wasn’t the most expensive but did its job, the Xperia Go stood out for me. My previous phone was a HTC wildfire S and to be fair, it wasn’t terrible but it was the most low end touch screen phone one could get. It was a basic-entry level phone and that means the screen was small and the processor was weak. It would lag and wasn’t able to do what the Samsung Galaxy S could do and so on, well for the price I paid, I couldn’t complain. However, the Xperia Go falls in the mid range category and although still not as high end as those phones you would see in the advertisements, if you’re looking for a phone that is fast, can run a lot of apps smoothly without paying a few hundred dollars with a plan, the Sony Ericsson Xperia Go St27i is recommended. and lazy, I’ve dropped it multiple times. And each time there wasn’t a single scratch at all until the amount of times I dropped could no longer be counted with both hands, then it started to chip at the edges. Mind you, such falls weren’t from the bed or some low height but at the waist of a 1.75m tall boy and higher, those that would make you cringe. I’m confident that the phone can withstand higher heights too. And in terms of waterproof, there are many videos on YouTube showing the phone being completely submerged in water and I’ve watched it from head to toe before so that certainly lives up to the name. So if you want a phone that will stay with you for a long time and like to show off to your friends or colleague or want to film a video under the water, the Xperia Go is marketed for you. soon was able to upgrade to Ice Cream Sandwich. The latter version was unusable as it made it so laggy closing a screen takes some time. Hence I rooted it and downgraded the firmware. The stock version of Gingerbread is a delight for the cost I paid. Sure it was slow at some times, it would lag when I try to open Whatsapp occasionally but other than that there wasn’t much to worry about. Watching a video, playing a simple game, or viewing pictures can be done smoothly. It is important to note however that im not one who play many games on my phone such that those who need large graphics or those MMORPG games which requires a lot of RAM, I do not have a single experience on them. However, based on my experience on the phone, I can confidently say that those would not be a large problem too. screen or homescreen, one can easily install a locker program like “Go Locker” or “Go Launcher” and it would transform your phone into a whole new one with your preferred taste without the phone being slow or choppy at all. The phone’s graphic is what you get for the price you pay. It isn’t some fancy AMOLED screen seen on the high end but I’ve not once complain about the screen. Sure it isn’t the best but by far is it not bad at all. Things are still very clear. The built-in camera is a bit weak though. It is made for the Xperia Go such that any pictures you take on the phone can be viewed really well but however if exported to another phone or computer, the quality might not be the best, certainly not as good as the iPhones. such as a better battery life and the well coveted Google Now. On the stock version of the Xperia Go, the battery life is already well sufficient. It is fast to charge, so a good 10-20 minutes can bring you up to 50% charge and the battery last long with moderate use. Moderate being a few games, and constant messaging. You might only find your battery depleted after 12 hours. Overall, if you’re searching for a new phone on the market without paying too much for a premium phone. 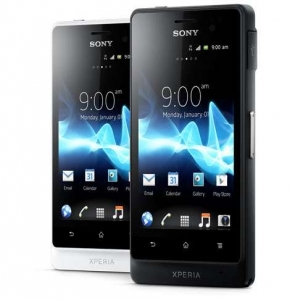 Or you want a phone that can do it’s basic task, you’ll find the Xperia Go not providing a single hitch for you. I’ll recommend it for the price you are actually paying for it and you’ll fine that many will do the same. As said, for the price you’re paying, you’ll be getting what you get and possibly more. A much better step from the previous phone and all I needed to do was pay a little bit more. A score for Sony.